An album born out of a life changing experience, 'Quit Bitchin'' was the response that vocalist and harmonica player Ben Curtis had to a prostate cancer diagnosis, with the news prompting him, after three months of treatment and "getting straight psychologically", to pack in his job and start to gather his thoughts through music. Bringing his friend and electric/slide/acoustic guitar player Steve French on board was the second step to making this dream a reality, before making the inspired move of recruiting renowned producer Steve Orchard (U2, Coldplay, Paul McCartney). Now being able to get someone of the calibre of Orchard involved should give a strong indication that the music on this album is noteworthy and if gritty, rockin', melodic blues is your thing, then there's no doubt you'll get a kick out of 'Quit Bitchin''. Vocally Curtis doesn't have the widest range you'll ever hear, but his worldly wise tones and lived in delivery add bucket loads of authentic emotion to his personal out pouring; resulting in an album with real depth. Musically those emotions are reinforced beautifully, with French proving a versatile guitar-foil, while Henrik Irgens (bass), Carrie Haber (piano/Rhodes/Hammond) and Steve Rodford (drums) breathe a real sense of purpose into the songs. 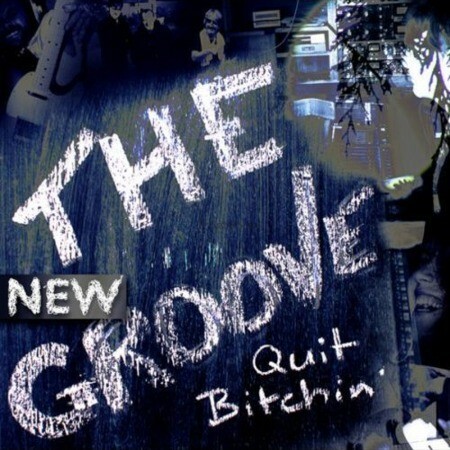 While the whole album is blues in origin, 'Quit Bitchin'' is still pleasantly eclectic. The title track being a pulsating groove-fest, 'Shovellin' Dirt' adding the dirty vibe its name suggests, 'Money' a lighter more feminine touch through Haber's wonderful piano playing and backing vocals, while 'If I Have To Leave' adds a more introspective feel through a slow beat and heartfelt vocals, ably display the emotion behind the lyric's origin. Put it all together and what do you get? 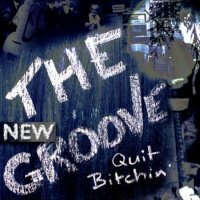 The New Groove – good name for a band that!